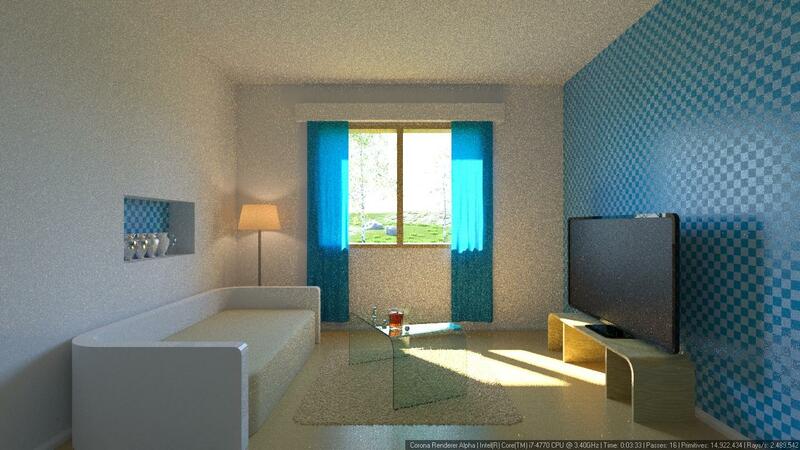 Solution home FAQ - 3DS MAX FAQ - What is / Where is / Does it ...? What is Max Sample Intensity - MSI? Maximum brightness of the secondary GI samples. This is the tradeoff between rendering performance and physical accuracy. 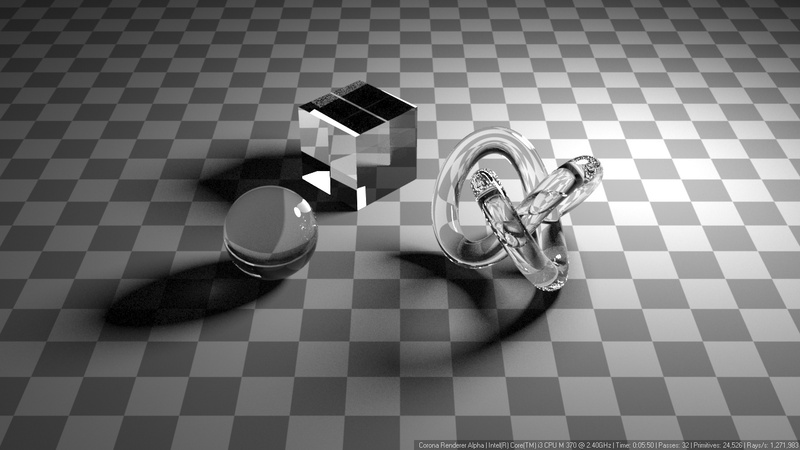 -Higher values produce brighter reflections and caustics, but also more noise in the image. Default value of 20 works well in most scenes. Value 0 is a special case that enables an unbiased mode (this mode is not production-ready as it will never clear noise in some scenes). 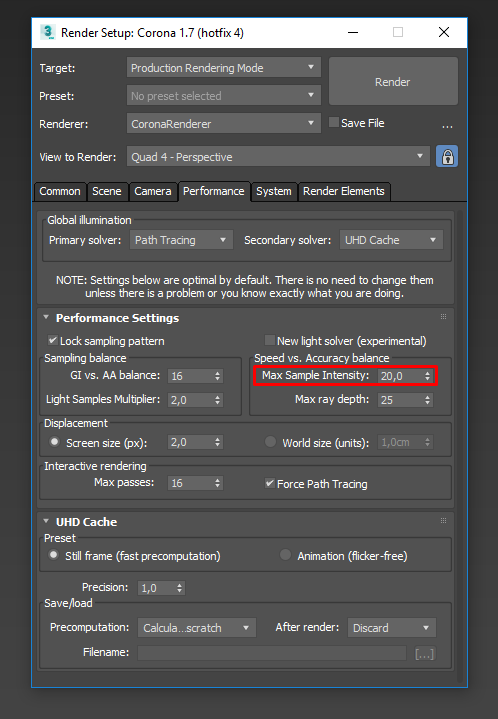 "Max Sample Intensity" is a parameter you can find in Render Setup > Performance > Performance Settings > Speed vs. Accuracy balance. As its name suggests, this parameter controls maximum allowed intensity of GI samples. Lowering it will result in clamping of light bounced off objects, including reflective and refractive caustics, significantly reducing noise at the cost of realism. Increasing this value will reduce amount of clamping but also increase noise level. Default value of 20 should work well in most situations. Setting this value to 0 enables special unbiased mode where no clamping occurs. This mode will, however, often introduce fireflies that may never converge. 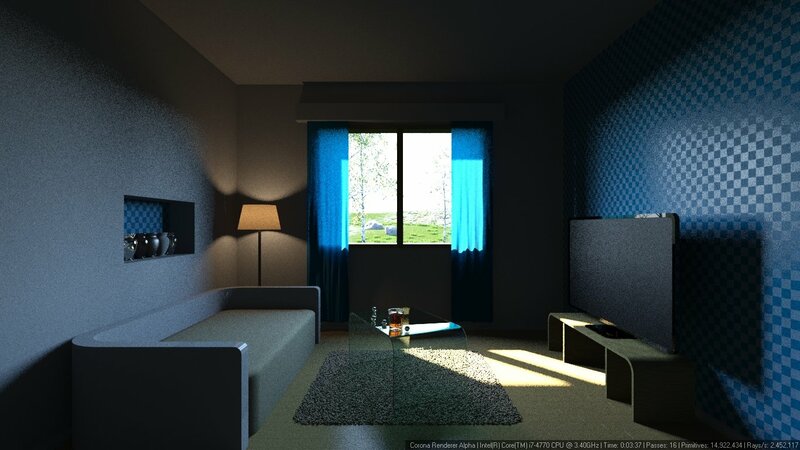 Max sample intensity parameter is relative to the current color mapping, so starting rendering with different exposures will result in different max sample intensity value, and in turn, different amount of bias in the picture. For example Max sample intensity value of 10 should result in the same amount of bias in both dim and bright interior shots. But once you change exposure after the rendering has started, you cannot change the already rendered bias. See: Exposure changes when I start rendering! The lighting looks realistic. There is not much noise or "fireflies". The lighting looks natural, but there is more noise and some bright pixels appeared. This happens because the intensity of light bouncing off objects is not clamped. MSI value is 10 times higher than the default value. It allows more light intensity resulting in more noise, similar to when MSI is set to 0. Bouncing of light is nearly disabled resulting in dark, unrealistic rendering. Balance between caustics visibility and noise level. 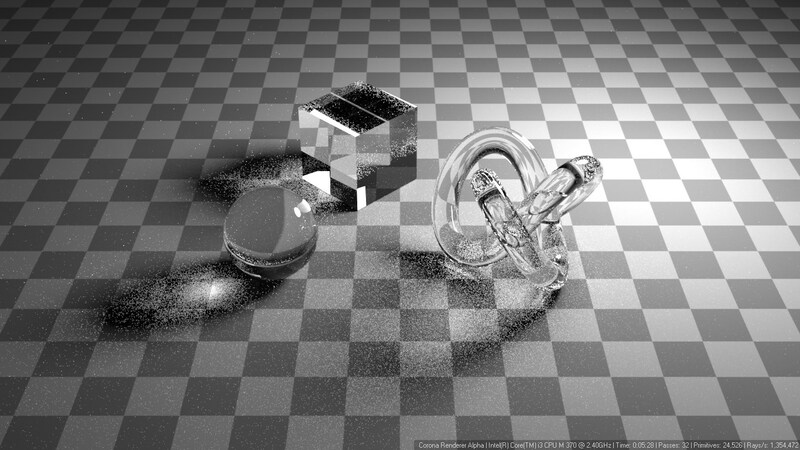 Intensive caustics but more noise. Samples are heavily clamped so caustics are barely visible.